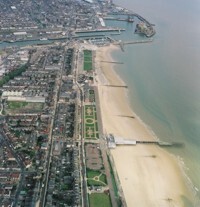 The East Anglia Coastal Group (formerly ACAG) was founded in May 1987. It is now one of nine similar groups covering the coastline of England and Wales. Initially, the Group was based upon East Anglia from the Wash to the River Thames. It was extended in 1989 to cover the whole of the Environment Agency Anglia Region coastline which extends 450 km from the River Humber to the River Thames. In 1998 the northern boundary was changed from the River Humber to Gibraltar Point following discussion with the Humber Estuaries Coastal Authorities Group and reconsideration of the coastal processes. To influence and support members to manage the coast infor the benefit of the Anglian Region. 1. To develop compatible management policies within the cell or sub-cells. 2. To work with other Regional Coastal Groups to the benefit of the Nation, the Group and its individual members. 3. To secure the necessary data to enable the Group to meet its primary objective. 4. To ensure that individual members have access to national, regional and local information. 5. 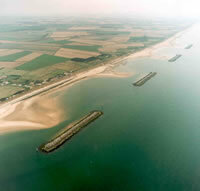 To assist DEFRA in the development of national coastal defence policies. Website provided by: Terry Oakes Associates Ltd.